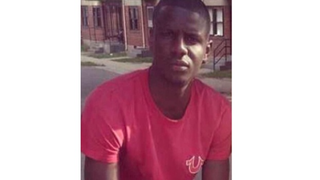 Freddie Gray, 25, died from severe spinal injuries while in the custody of Baltimore police, and now city officials have announced that six officers have been suspended with pay while the city conducts an investigation into a case that has a number of residents, including the mayor, searching for answers. "This is a very, very tense time for Baltimore city," Baltimore Mayor Stephanie Rawlings-Blake said at a news conference Monday, ABC News reports. "And I understand the community's frustration. I understand it because I'm frustrated. I'm angry that we are here again. That we have had to tell another mother that their child is dead. "I'm frustrated that not only that we're here," she continued, "but we don't have all of the answers." According to the Wall Street Journal (subscription required), Gray was in a West Baltimore neighborhood April 12. Shortly after his arrest, he was placed in a police van and reportedly asked for an inhaler because he was having difficulty breathing. It's unclear whether police attempted to assist Gray, but the Journal notes that officers didn't call for medical assistance until some 40 minutes after he was arrested. Police records seen by the newspaper also noted that Gray was placed in leg shackles for "acting irate." Gray was eventually transported by ambulance to a hospital, where he "underwent surgery and later lapsed into a coma and died on Sunday," the Journal reports. An autopsy performed Monday revealed that Gray suffered "a very tragic injury" to his spinal cord, Deputy Police Commissioner Jerry Rodriguez said at a news conference Monday. "What we don't know, and what we need to get to, is how that injury occurred." William Murphy Jr., the Gray family's lawyer, told the Journal that Gray's "spine was nearly severed at his neck while he was in police custody. He lapsed into a coma before dying Sunday." It is still unclear why Gray was arrested. According to police documents viewed by the newspaper, Gray reportedly took off running when the police arrived on the scene. Police gave chase and arrested Gray. "There is no law against running," Police Commissioner Anthony Batts said at the news conference. After catching Gray, police reportedly noticed and confiscated a knife that was clipped to his pants. "We know that having a knife is not necessarily a crime," Rawlings-Blake said during the press conference, ABC News reports. "It is not necessarily probable cause to chase someone. So we still have questions." According to ABC News, the investigation is to be concluded by May 1, and all information will be given to the Baltimore state's attorney to decide whether charges will be filed. "I know when Mr. Gray was placed inside that van, he was able to talk," Rodriguez said at the news conference. "When Mr. Gray was taken out of that van, he could not talk and he could not breathe." Read more at ABC News and the Wall Street Journal (subscription required).